Seventeen people that use our Lawn Court accommodation service now have a modern, bright and spacious place to live, after we transformed a property in East Sussex. The aim of the refurbishment project was to create an outstanding environment to support people towards independent living. To do this, we renovated a hotel and a house, turning them into a 17 bedroom residential property with a spacious lounge, dining area and large garden. Right in the heart of Bexhill and just a stone’s throw from the promenade, it offers people the chance to explore the local town. Each person that uses the service has an en suite bedroom and access to a fully equipped kitchen. They can also make use of a multipurpose room for mindfulness sessions, training or relaxing. It’s sometimes difficult to quantify the value of our support, so this year we decided to undertake a Social Return on Investment study to do just that for our peer support in Hampshire. Jess, Elveta, Abbie and Tom explain why we did this project and what the findings mean. More than 500 people benefitted from our peer support. 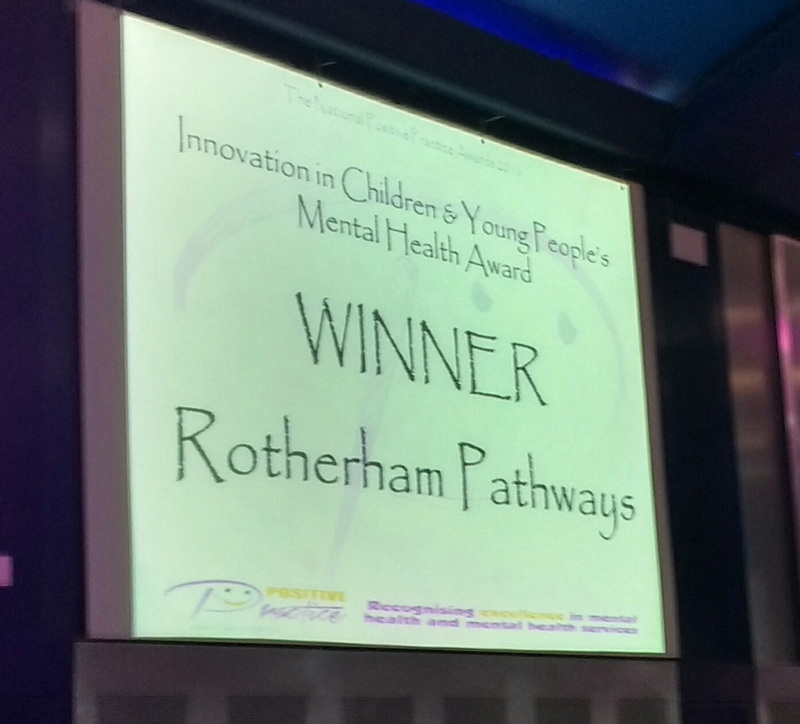 Together’s Rotherham Pathways project was announced as a winner at the Positive Practice in Mental Health Awards this year. 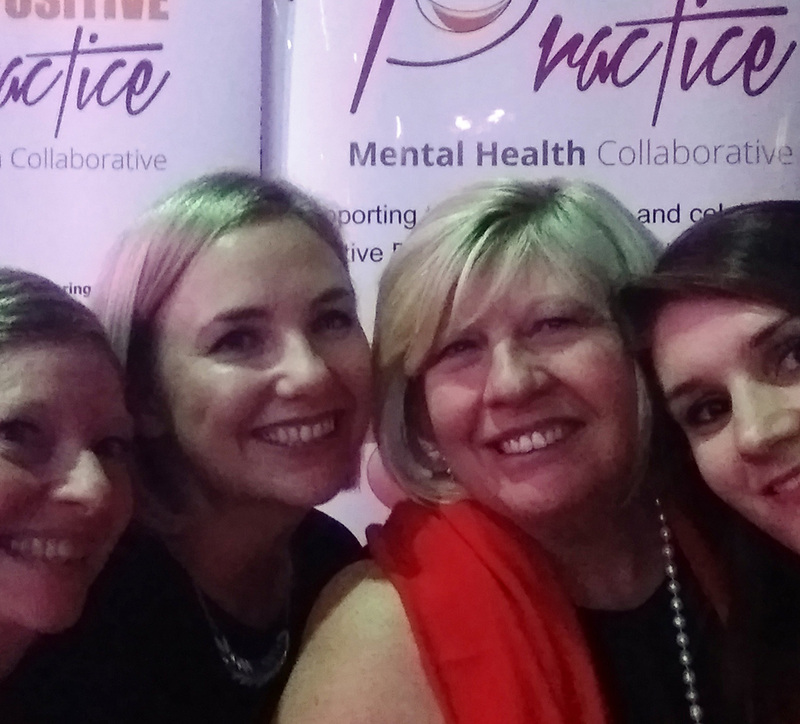 These awards recognise excellence in mental health and mental health services. 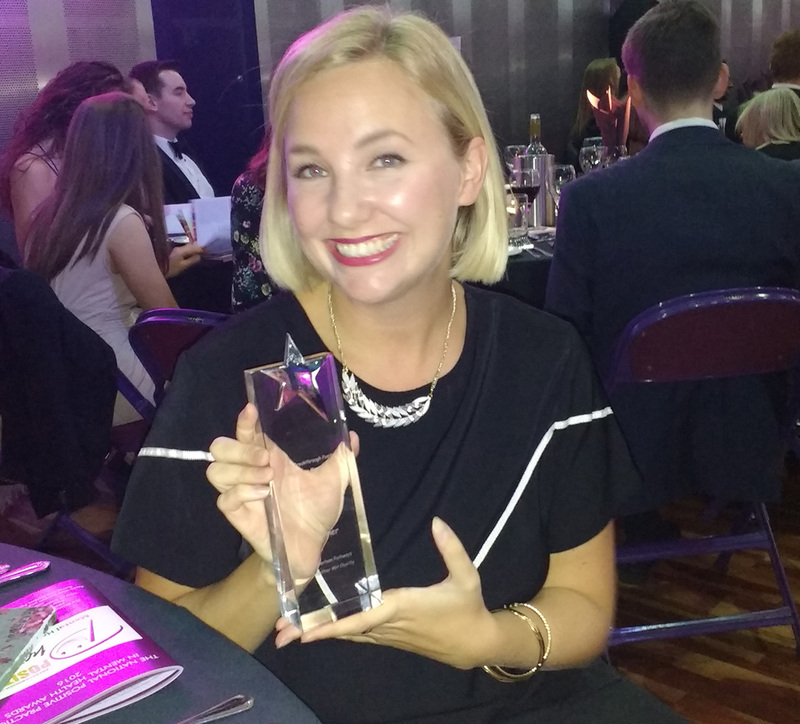 Project Manager Alison Thorne was presented the award for Innovation in child and young people’s mental health at the awards ceremony gala dinner, by a young person who had themselves received support for their mental health. 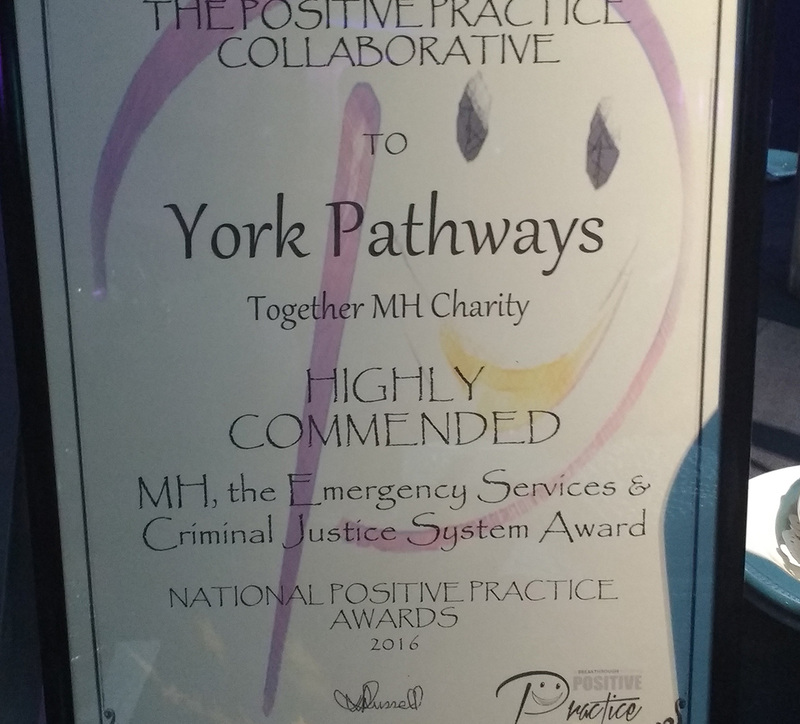 And there was more good news to come as our York Pathways service was highly commended in the Mental health, the emergency services and the criminal justice system category. Together was the only Third Sector provider to be shortlisted in two categories. Rotherham Pathways, which forms part of Barrow Cadbury’s three-year national Transition to Adulthood Pathways programme, offers support to vulnerable young adults who are in contact with police and emergency services. Project staff work with individuals who are at risk of offending or are at a pre-conviction stage, to respond to their wellbeing needs at the earliest possible opportunity and reduce the chance of them entering the criminal justice system or reoffending. By working closely with young people and the South Yorkshire Police, Rotherham Pathways has successfully managed to reduce the number of young people coming into contact with the police by 44%. Together runs Rotherham Pathways in partnership with South Yorkshire Police, the Police and Crime Commissioner for South Yorkshire, Rotherham Metropolitan Borough Council, Rotherham Clinical Commissioning Group, and Rotherham Doncaster and South Humber Mental Health NHS Foundation Trust (RDaSH).